Welcome to the Country Inn and Suites, St. Augustine Hotel, the newest hotel in the oldest city. The hotel is just minutes away from sightseeing, shopping, dining and golfing. St. Augustine area attractions convenient to the hotel include Castillo de San Marcos, Flagler College, Old Sugar Mill, St. George Street, the Cathedral Basilica, Premium Outlets, San Sebastian Winery, St. Augustine Alligator Farm and many more. 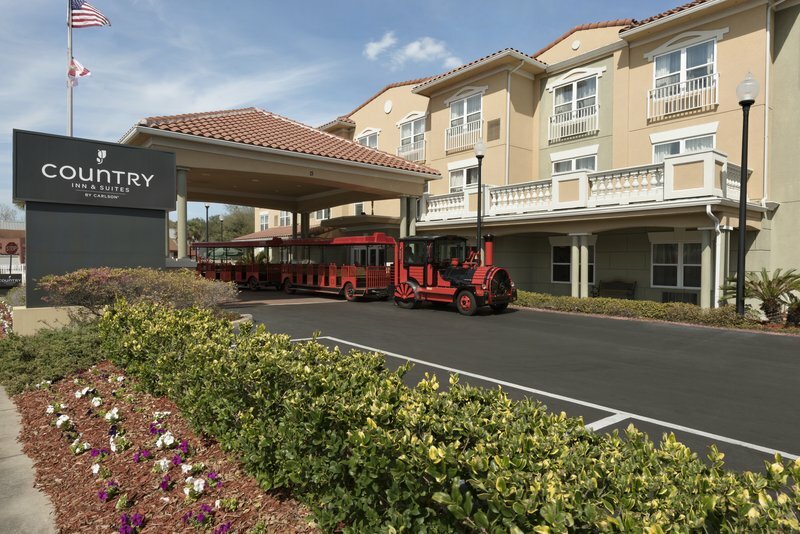 From the hotel its just approximately 2 miles to St. Augustine Airport and 54 miles to Jacksonville International Airport. Hotel amenities include: complimentary hot breakfast buffet, complimentary Wi-Fi Internet access, outdoor pool with hot tub, 24-hour guest laundry facilities, complimentary newspaper, an on-site fitness center, & business center. This hotel has secured entry and free parking. All rooms have a coffee maker with coffee and tea, iron/ironing board, hairdryer, 32" HD LCD cable TV with HBO. ~1 miles from Saint Augustine. ~3 miles from Saint Augustine. ~53 miles from Saint Augustine. ~62 miles from Saint Augustine.